Picking up from where the last part left off, we get into the actual grit of radium. While every reasonably modern person is aware that radiation poisoning is not only fatal, but can have other terrifying consequences, we are so protected from those scenarios that we may not actually know what results from interaction with unregulated radiation. would play with the radium-laden paint in the lunch hours, because it was such an attractive, glowy material. As you can imagine, it didn’t talk too long for the effects of these practices to arise. However, the earliest symptoms were the ones easiest to ignore or dismiss. For example, the beginning symptoms of radiation sickness are severe fatigue, tooth decay, and things that weren’t really handled seriously in the first half of the 1900s. Some of these women had to leave work, they were chronically exhausted. Then, it became a little more obviously these women weren’t just tired. [this is where I caution you just a little-] As the more long-term effects of their radium exposure took form, their bones started to disintegrate within them, especially giving way to problems in the mouth. Teeth fell out, gums failed to heal, and eventually jaws began to decay (that’s crazy!). Many ended up having to get their jaw bones, or at least what was left of them, completely removed for the sake of pain management, which was only the beginning of the problems. As I learned this story, I remember one particular quote that has never left my head: During the onset of bone disintegration, if one of the sickened ladies tried to walk across a room, a witness could actually hear the bones fracture and snap in her legs and hips as she walked. If that doesn’t give you an image of the severity of the problem, nothing will. After having friends, families, and clinicians witness the slow, eventual deaths of almost 20 women with no control over the demise, people did begin to question what was happening. While it was indeed known that radium was capable of destroying human tissue at the time, that didn’t mean anyone considered the bad to that. Instead, it was viewed that if radium was capable of destroying things, that meant it could be used to destroy bad things! This allowed radium to make the spread that this story has been all about: How did radium become an agent of makeup, health supplements, and every other product imaginable? Because people thought its destructive properties could be harnessed for good. 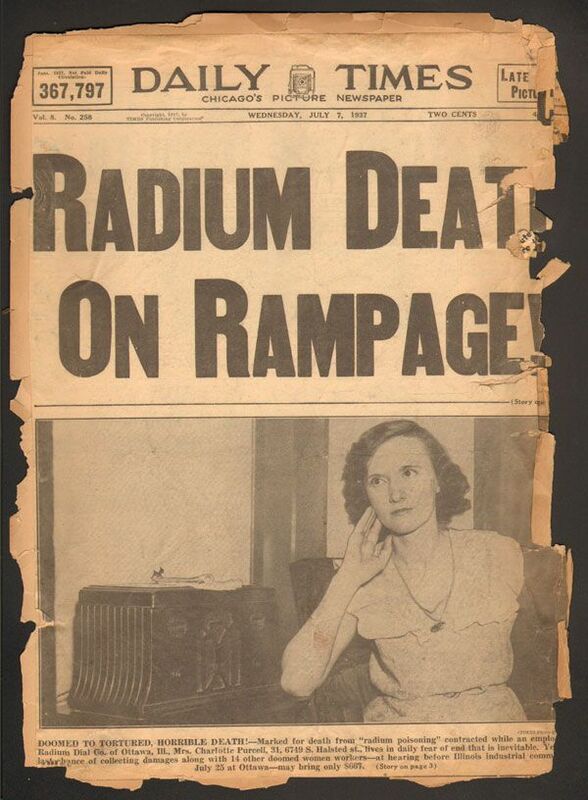 An important and interesting note: Radium was quickly used as a method to treat cancers. While it was found to cause more bad than good, it pretty clearly can be related to how we still use radiation in cancer treatment, called chemotherapy, and can therefore be a part of larger argument against the use of radiation whatsoever. That subject can be for another day, perhaps. I have too much to say on that. 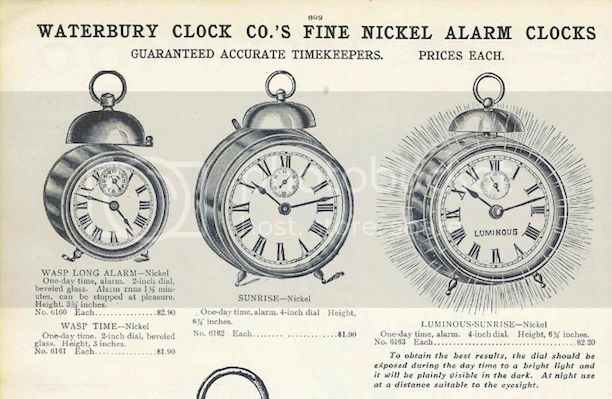 This concept isn’t uncommon in medicine, but it is strange that people simultaneously acknowledged the danger of radium, and used in it common products. This point doesn’t emphasize so much that radiation is a force of useless evil, as it does that too few people were clued into its evils. It’s important that people have access to the current science that is happening all the time, and it’s important that that science is accessible on more than one level. I mean that there must be some sort of translation to important, mass-relevant science so that everyone possible understands where we stand on certain things. This same conclusion could be applied to climate change now, or even applied to the discussion on transfats, cholesterol, or marijuana. By the way, the women involved in this story are all still radioactive, over half a century later, in their caskets. I hope you enjoyed, and were a little surprised, by the story of how radium was discovered to be bad. It may have sounded like a given, but there’s always something more. The stories to come will be of a somewhat similar nature, if not a little more palatable for everyday audiences. However, if you liked what you learned, get ready for some more! 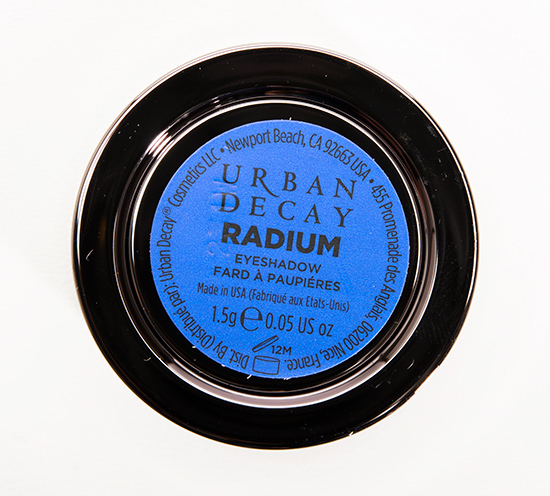 The irony in their choice of name… Did Urban Decay know what they were doing?